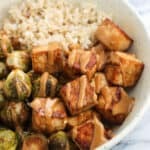 Sheet pan tofu with peanut sauce and brussels sprouts is a satisfying and healthy one-pan meal packed full of flavor. 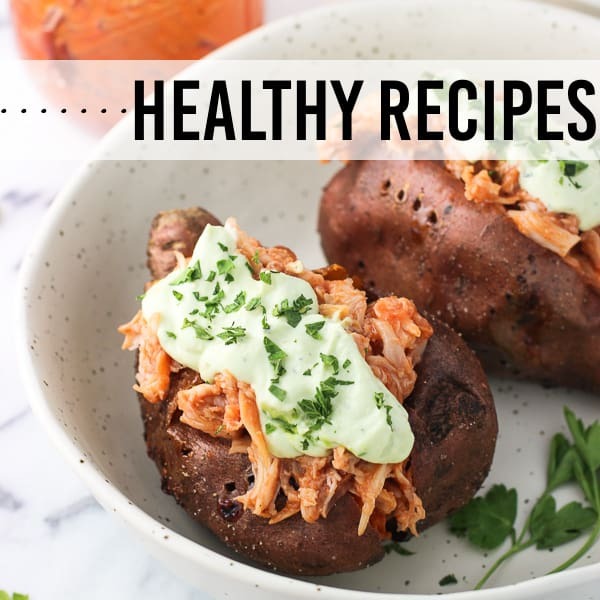 Perfect for Meatless Mondays (or anyday)! This sheet pan tofu with peanut sauce and brussels sprouts recipe is long overdue. Long, long overdue. 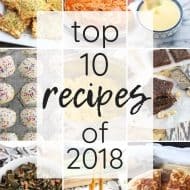 See I really like tofu prepared in multiple different ways, from all types of Asian-inspired recipes to “egg” scrambles…even silken tofu in an indulgent chocolate mousse pie I haven’t had in years but am suddenly craving. 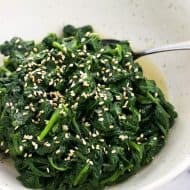 Besides its versatility, it’s an inexpensive plant-based protein that stays for awhile in the fridge. More often than not I have a block or two on hand. So when I received a comment asking about a vegan protein pairing for turmeric coconut basmati rice, I immediately thought of tofu. 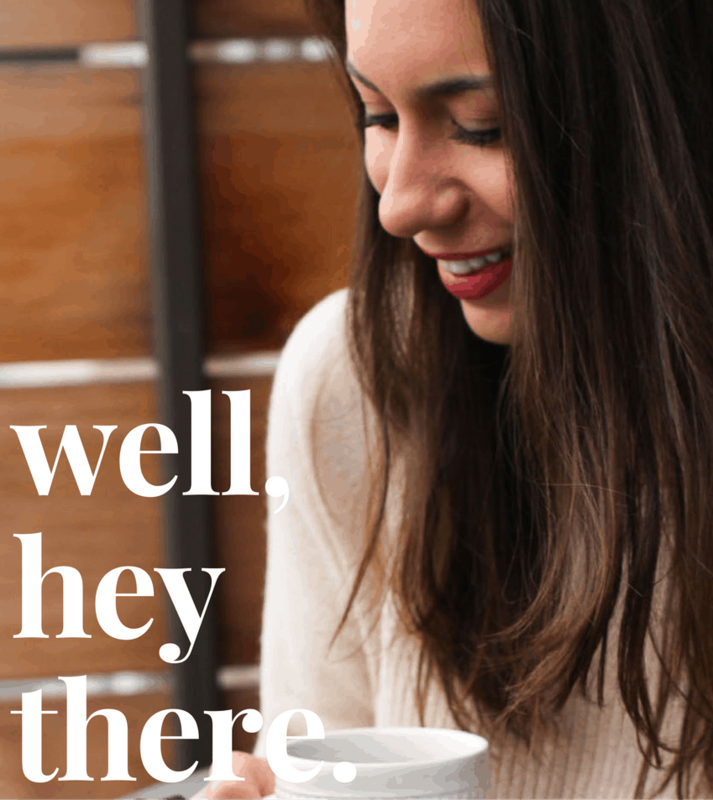 I went searching for a tofu recipe in my recipe archives to link her but – there were none! 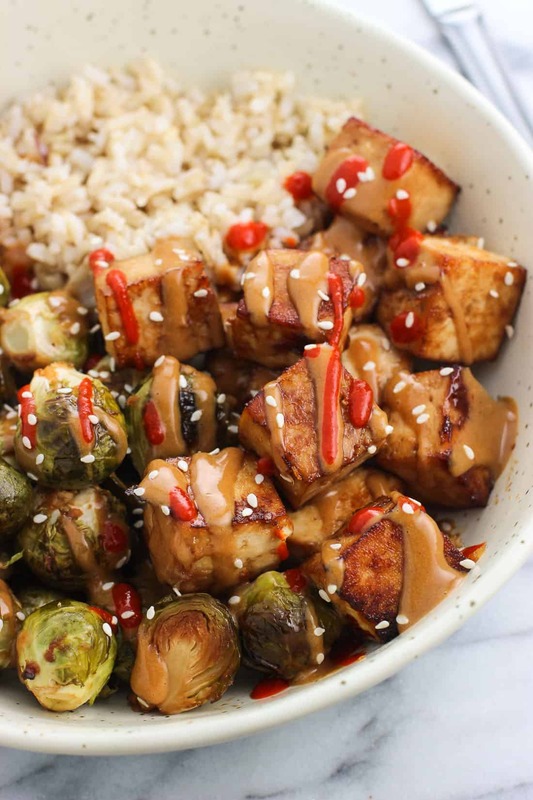 This tofu with peanut sauce recipe combines a few different favorites – roasted brussels sprouts (yum), peanut sauce (double yum), and sheet pan meals (). After a quick marinade, the tofu is transferred to the sheet pan, while the brussels sprouts take a dunk in the leftover marinade liquid. 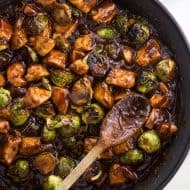 The marinade works great for both the tofu and the brussels sprouts with ingredients like soy sauce, sesame oil, rice wine vinegar, garlic, and ginger. After the brussels sprouts are coated, they’re added to the sheet pan with the tofu. 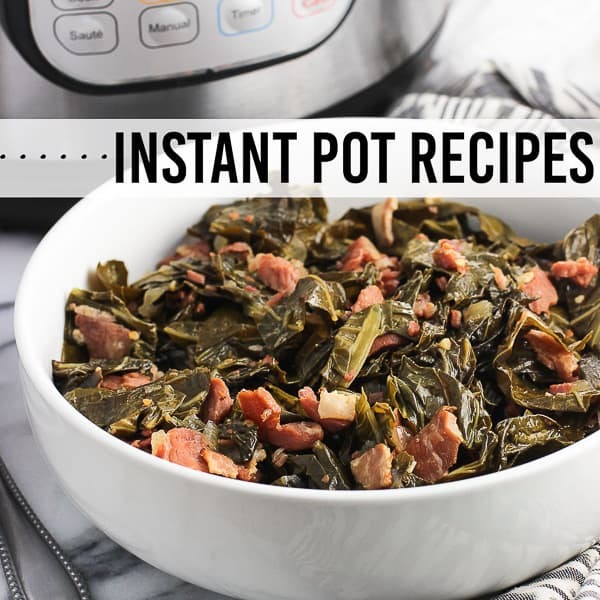 You’ll want to use a large pan so they’re not too crowded (mine is about 13″ x 18″ aluminum <–affiliate link). Then I poured the excess marinade over top of the brussels sprouts and tofu and placed them in the oven. One flip halfway through cooking and they’re good to go! 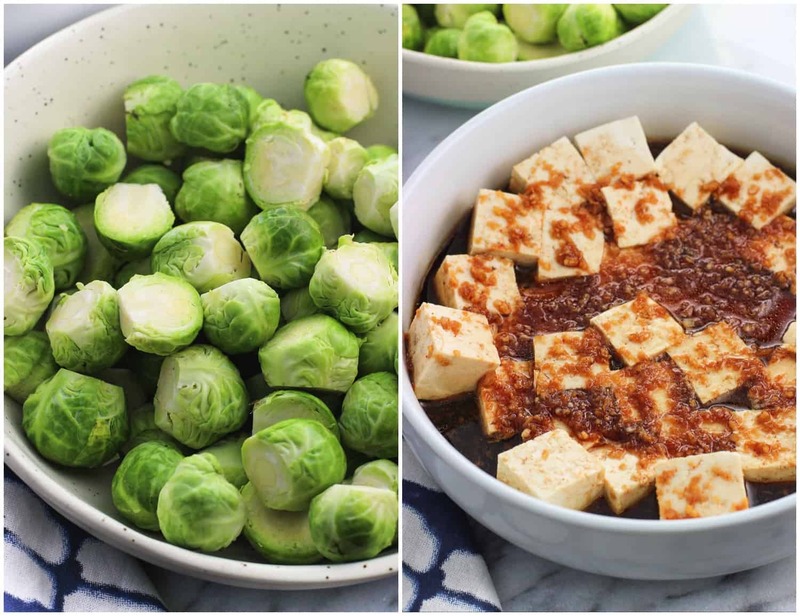 As they bake, the brussels sprouts will become roasted and soft, while the tofu cubes develop a golden brown exterior – especially the edges! 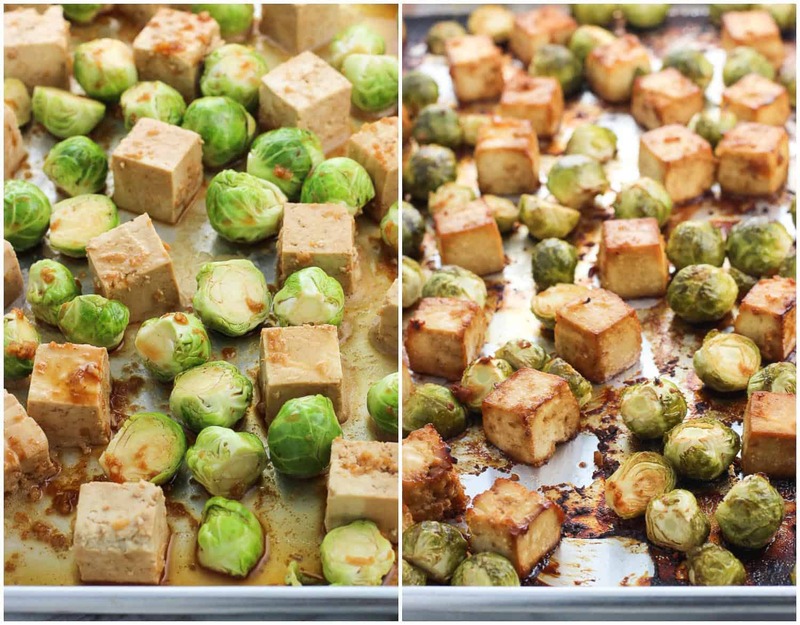 Truly they’re delicious as-is, but I spent a few minutes while they were cooking to mix up an easy peanut sauce that took this sheet pan tofu with peanut sauce and brussels sprouts recipe over the top. The peanut sauce begins with peanut butter (I suggest creamy). Then in the mix goes soy sauce, maple syrup (or agave nectar or honey), mirin, sriracha, garlic, and sesame oil. Once whisked together this peanut sauce will be thick, so dilute with a little bit of water, a tablespoon or so at a time, until it’s perfectly drizzle-able. Serve this tofu with peanut sauce and brussels sprouts alongside rice, quinoa, or your favorite grain. Or really whatever you want — who am I to tell you how to eat? 😉 I chose brown rice, and then added a fairly heavy drizzle of sriracha for serving. Maybe it was a little much because I was certainly feeling the heat, but you can definitely skip this step if you like. The marinade and peanut sauce really aren’t spicy despite little bits of sriracha in them. Rather the sriracha there rounds out the flavor. I can say with full confidence that this sheet pan tofu with peanut sauce and brussels sprouts is one of those meals that will have you looking forward to enjoying leftovers for lunch the next day. Pressing the tofu helps expel water from the block even more. Even with extra firm varieties, there’s usually a more-than-immaterial amount of water that can be pressed out of the tofu. Reducing as much water from the tofu as you can means it’ll be that much more capable of absorbing the marinade. That means more flavor! I used a block of extra firm tofu here, but if all you can find is ‘firm’ that will work to. In that case you may wish to press the tofu for longer, but I don’t find it makes too much of a difference. …just don’t use silken tofu! That variety will fall apart much easier than firm/extra firm tofu. You may have extra peanut sauce leftover. I love to use it on grilled chicken (especially drumsticks) or on noodles as sauce. 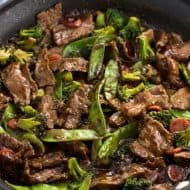 To keep this dish vegan you can use maple syrup or agave nectar in the marinade/peanut sauce, however if that isn’t a concern you can use the same quantity of honey. Open the tofu package and drain out the liquid. Put the tofu block on a plate on top of several layers of paper towels and place a few paper towels over top. Place a heavy sheet pan or skillet on top of the tofu block for 20-30 minutes. While the tofu is being pressed, make the marinade. Add all marinade ingredients in a large bowl and whisk together until combined. Once the tofu is done being pressed, slice the tofu block into cubes about 1-inch thick. Add the cubes to the bowl with the marinade and gently toss to coat them. Let them marinate for 25-30 minutes. While the tofu is marinating, wash and prepare the brussels sprouts, removing any yellowish outer leaves and slicing off the stem. Cut any large brussels sprouts in half. Preheat oven to 400°F. Spray a large baking sheet with cooking spray and set aside. After marinating, lift out the tofu with a slotted spoon or spatula and place them about equally-spaced on the prepared sheet pan. 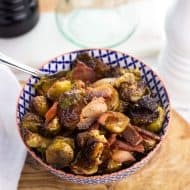 Add brussels sprouts to the bowl with the marinade and toss to combine. Place brussels sprouts on the sheet pan and drizzle excess marinade over top of the tofu and brussels sprouts. Place the pan in the oven and cook for 20 minutes. Remove the pan and flip over each tofu cube and brussels sprout. Cook until the brussels sprouts have softened and are roasted to your liking and the tofu is golden outside with golden-brown edges. 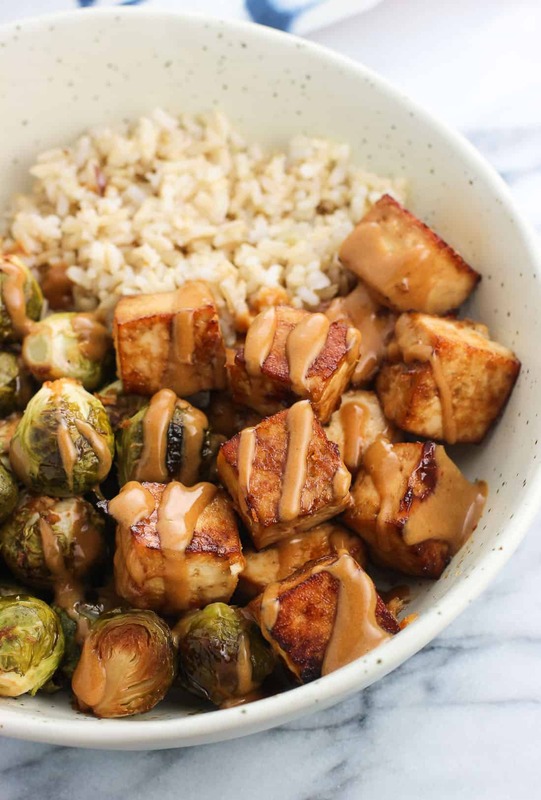 While the tofu and brussels sprouts are cooking, prepare the peanut sauce by whisking together all ingredients except for the water in a bowl. Add water 1 tbsp at a time and whisk until the peanut sauce is thinned to your liking. 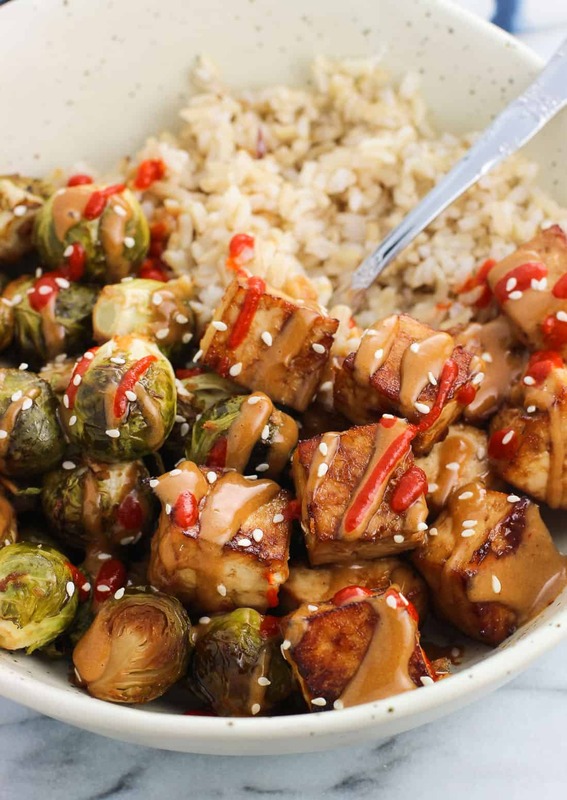 Serve tofu and brussels sprouts over rice or grain of your liking and drizzle peanut sauce over top. Can garnish with additional sriracha and/or sesame seeds if you like. Substitute honey in for the maple syrup if you don't require this recipe to be vegan. Prep time includes 20 minutes for the tofu to press and 25 minutes for the tofu to marinate. Nutritional info does not include rice or grains for serving. This marinade is EVERYTHING! 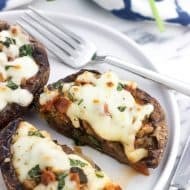 Love this easy peasy recipe! 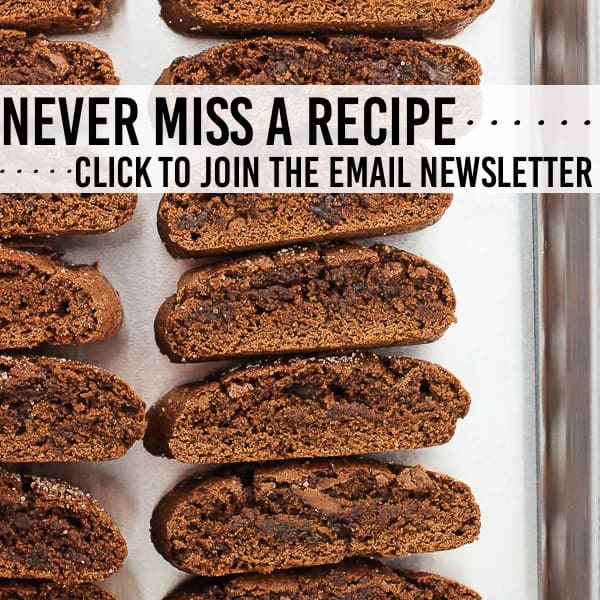 What a great idea being able to cook it all in a sheet pan!!! Such a great vegan idea!